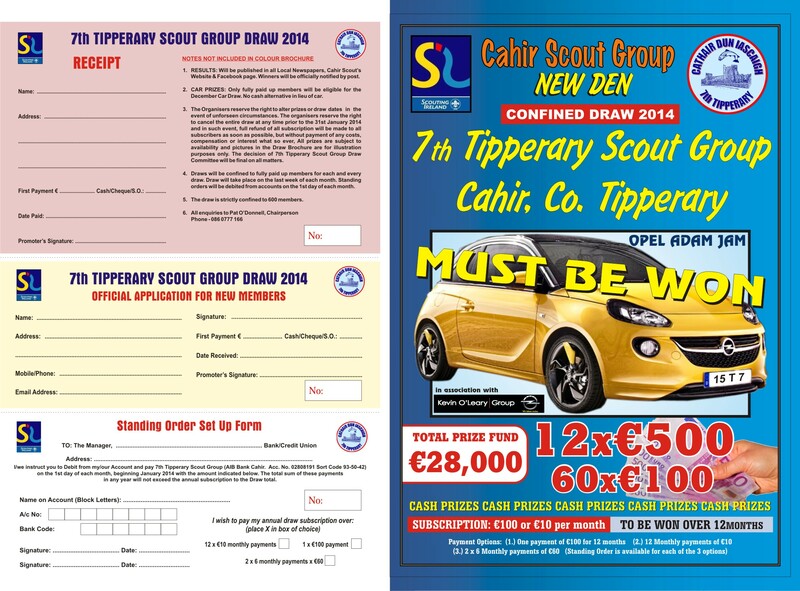 12 month draw of 600 members, starting in January 2014. Total prize money of ?28,000. Including ?1,000 (1 x ?500 and 5 x ?100) a month in cash for 12 months and a final draw in December 2014 for a fantastic New Opel ADAM JAM worth ?16,000 (In association with Kevin O'Leary Group)for any member who has paid for the 12 months. Tickets Cost, one payment of ?100 for the 12 months, or two payment of ?60 for the 12 months or Twelve monthly payments of ?10. Any support we can get would be greatly appreciated.